Identifying and understanding gender equity and unconscious gender bias isn’t easy, especially in the workplace. In this workshop designed for leaders, we have an open and honest conversation with participants about gender bias and gender equity – and what they mean for men, women and the organization. In our approach of this subject, we outline the environment required to address gender bias and discuss how it needs to be one of mutual advantage – the needs of men, women, and the organization must be considered so all parties can emerge as beneficiaries. 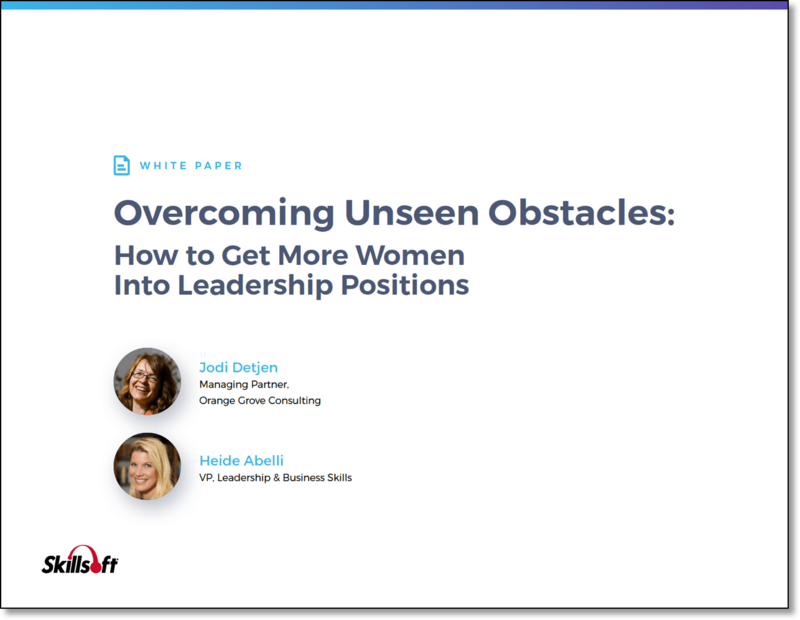 Our Manager Training Series uniquely addresses how managers can more effectively leverage female talent. By adapting how they manage, managers can help their team members realize their potential, think more strategically and increase their impact. Managers emerge from these courses with a clearer vision of how to facilitate women into leadership and career success thereby helping their teams and organizations. Offering maternity leave and flexibility will not ensure women flock to your organization or stay for the long term. Women can tell when they culture signals they are unwelcome. Team cultures that promote inclusiveness versus simply attempting assimilation or applying band-aids will lead to long term engagement and reduced turnover. Managers play a pivotal role in creating this inclusive culture. Managers often struggle to unleash their female talent and overcome inherent cultural barriers to their advancement. External bias plays a role, but often the largest bias is that which women themselves unconsciously absorb internally, that keeps them in traditional roles or on a stunted career path. Further, managers may resist providing critical developmental feedback to women. The single greatest pressure for women to leave the workplace occurs when they become mothers. Unconscious bias, both internal and external, plays a role in convincing women their careers are at odds with their lives and affects how women perform postpartum. Managers often are simply unaware of how these biases manifest and what they can do to support their high potential women through this transition point. Reframe these assumptions for a fresh approach to managing family leave and the subsequent integration of life and work. For more information or to book a workshop, please email info@orangegroveconsulting.com.